I don’t know a damn thing about astrology. I mean, I know that I’m a Sagittarius and that Sagittarian’s are awesome. I also know that that’s a super Sagittarian thing to say about myself, so I’mma roll with it. I recently got Theresa Reed’s Astro Biz Digest, which piqued my interest a bit. To be fair, I don’t have to do the astrology. I just have to listen to Theresa. Perfect. Another one of my friends has been doing astrology for some time and makes it easy for people with tarot clogged brains to figure out. Aliza Einhorn and I met on Twitter a long, long time ago. I think she was one of my first twitter buddies. She has a very approachable, yet very sincere approach to the signs. Lucky for all of us, she’s written a book. 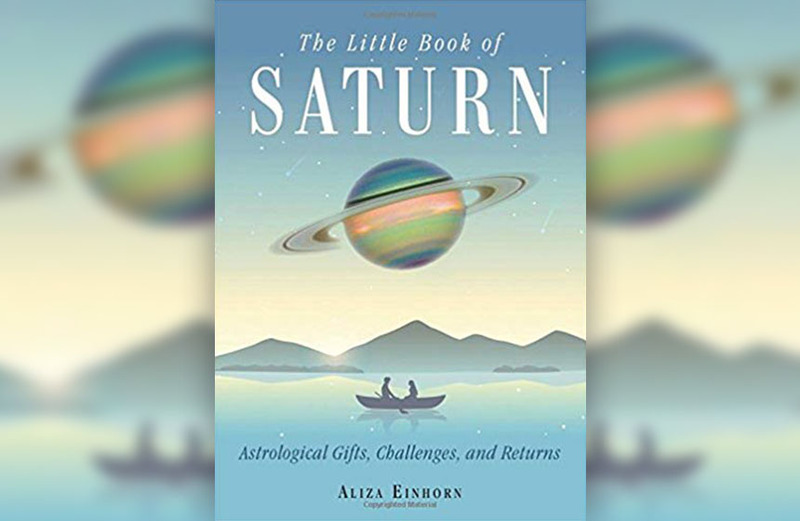 “The Little Book of Saturn” focuses on where Saturn is in your chart – both the sign and the house. The only criticism I have is that there isn’t a chart of what the symbols for the signs is, or where to find the house numbers. I have Saturn in Cancer in the Sixth House, but i had to go to the internet to see what the Saturn symbol was (it’s an h with a line through it) and again for the sign and the House. NOW – after you know these three things, you’re all set. I found out that I have a fatherly energy instead of motherly – which explains so much – I’m just like my dad. I also found out that I should be a witch (duh) and a couple of other things that seriously made me consider my life and reactions to things around me. This book is fun – great to read for newbies (with an assist) and easy to follow.